Sharpener Field Sharpener. 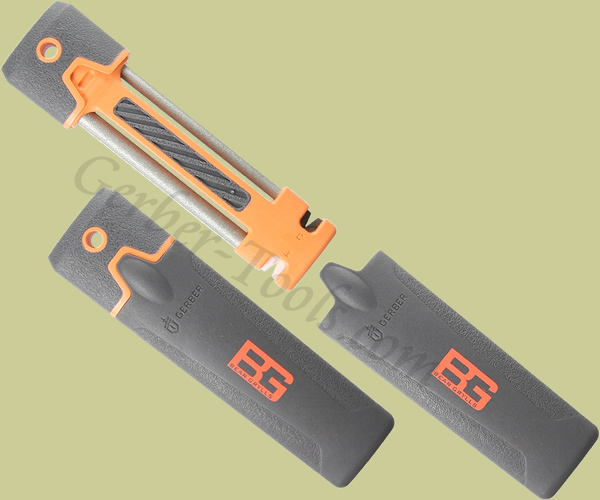 The sleek, compact design of the Gerber Bear Grylls Sharpener 31-001270 makes it a great addition to your outdoor gear. It is designed to quickly, efficiently sharpen both serrated and fine edge blades. The two diamond coated rods handle serrated blades while the carbide and ceramic inserts hone fine edges. The handle of the Bear Grylls Sharpener has a rubber coating for secure gripping and stores in a hard case.